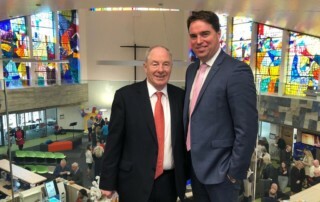 As video game technology develops we need to look at different aspects of gaming and caution young people of the costs involved, Fine Gael TD Martin Heydon has said. 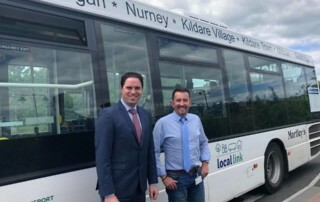 Fine Gael TD for Kildare South and Chairman of the Fine Gael Parliamentary Party, Martin Heydon, has confirmed the news that €3 million in funding has been allocated for Athy Southern Distributor Route by the Department of Transport and Sport. 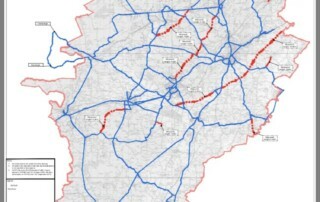 Following a review of Kildare County Council’s Winter Maintenance Plan 2019, the Council has increased it’s 2019 winter salting programme, effective 28th January 2019. The objective of the Winter Maintenance Plan is to keep all principal roads in the County open to traffic and free from ice. 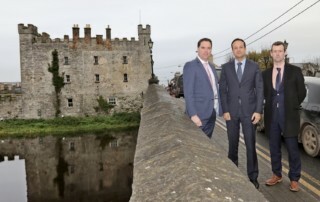 Public information sessions will take place in Athy and Newbridge Libraries on 5th of February and 12th of February respectively at 4:30-8pm on the new National Heritage Plan. Fine Gael TD for Kildare South and Chairman of the Fine Gael Parliamentary Party, Martin Heydon, highlighted the concerns and frustration in Monasterevin at the ongoing delays with progress on the construction of a new school building for St Pauls secondary school with Education Minister Joe McHugh in the Dail this week. Fine Gael TD for Kildare South and Chairman of the Fine Gael Parliamentary Party, Martin Heydon has received confirmation from Minister Regina Doherty that the review of 79,000 pensions are continuing and increased payments can be processed as each review is completed as the necessary legislation was passed before the end of last year. 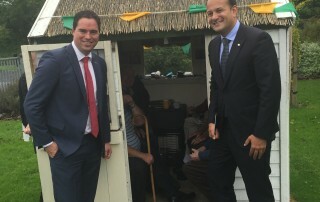 Fine Gael TD for Kildare South and Chairman of the Fine Gael Parliamentary Party, Martin Heydon has welcomed the allocation of €26,082 in Government funding granted to 18 Men’s Sheds in Kildare. 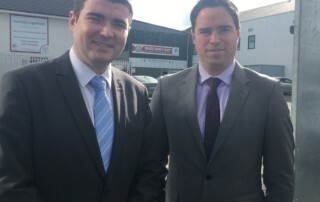 Kildare South TD and chairman of the Fine Gael Parliamentary Party, Martin Heydon has welcomed the announcement that €85,684 has been secured for an outdoor recreation project in Athy.